Kindle And Me...: Oh! The Places You'll Go! Back To School Giveaway Hop! Oh! The Places You'll Go! Back To School Giveaway Hop! Welcome to our stop on the Oh! The Places You'll Go! 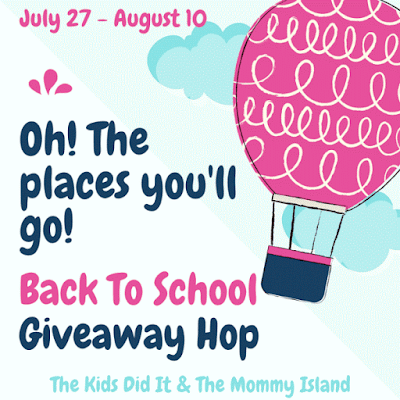 Back to School Giveaway Hop sponsored by the Kids Did It& The Mommy Island! 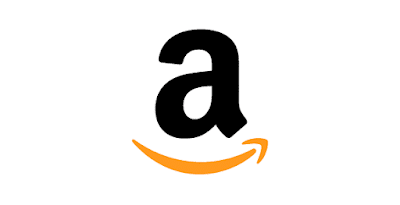 Check out our Giveaway for an Amazon Gift Card to get stuff for School, including books and then go below the Rafflecopter and check out the other blogs with giveaways! I kind of dread it this year. my 11 year old is going to middle school. And his little brother is going to miss having him at the same school. I always dread when school starts back. It is very hard to get everyone on a rigid schedule again. We're all excited about school started back next week! My grandsons are ready to see their friends again! Nervous. I hate the set schedules, to be honest. I feel about the same as I do about going back to work. I always feel sad about it. When I was a kid I would get anxious about it. I went to several conferences this summer, and I'm looking forward to implementing those ideas into my classroom! I'm looking forward to the quiet when my youngest goes back. Ha. Im already dreading the homework sessions though. I'm so ready for it.. there are too many kids out during the day!! I am looking forward to the kids going back to school! No one in our house is going back to school this year. But I still use this time for the special deals on notebook paper and office supplies I like to use throughout the year. I like routine. Even though it can be stressful and hurried at times, routine is good. I think back to school comes way too fast! I'll miss being with my daughter so much. For me, getting ready to go Back To School for is stressful! I look forward to them going back to school but I will secretly miss the noise and chaos. I like getting back on schedule but hate the back to school shopping. --sigh-- This is my daughter's last year of college, and I will miss her when she goes back to school, just like I do every year. I don't have kids, but I always kind of liked getting ready for school. I was nervous for the first day, but getting all the supplies was fun for me! My kids will both be in college this year. It's okay though because they'll commute. I don't have kids. And going back...eh. It's school. How do you feel about getting ready to go Back To School for yourself or your kids? I'm just happy to have the cooler weather. Thanks for the giveaway! I don't like sending my kids back to school. I enjoy having them home for the summer. It's a big sigh of relief really. It's a sad year as my only child is heading off to college! I look forward to the kids going back to school. I have mixed feelings. I'm glad to have more free time, but I'm will miss my daughter when she is at school. No kids and I'm done with school so it doesn't affect me anymore. Well I am a teacher so I would'nt mind some more time off! But in general I look forward to seeing my students again! I am excited and ready! I enjoy getting my son ready for bts. We make a day of it and have lunch out together. I enjoy getting stuff for my granddaughter. She starts first grade this year. She's so excited! I'm a little excited and nervous to see what this next school year will bring. I am excited for back to school. My kiddos like school so it makes me excited for them. The children were involved in many activities over the summer, so they never got bored and I don't think they are in any hurry to go back to school. I always dread it when the time comes around for school to start up again. It means the children have to get back on a very structured schedule and have to spend time in the evening doing homework. I'm trying to get as ready as I can without having to drag the kids along. I like back to school season. It's fun buying school supplies. My Granddaughter can't wait to start Kindergarten. I'm nervous for my daughter. She will be starting her first year of college. Mixed feelings! I hate leaving my 6 month old baby boy, but I am excited to be teaching in a new school this year. I always cried when i had to leave them when they were that little! Good luck with your new job! We do not start school until September 26. I have a long time for school to start. I am feeling excited about it. We are looking forward to starting. I'm not quite ready yet but I will be in a few weeks when it starts. I like the routine and the activities. I am not quite ready either for my grandchildren to go back to school. I enjoy my time with them immensely! MY SON IS GOING TO KINDERGARTEN THIS YEAR, SO I AM A LITTLE NERVOUS FOR HIM BUT I AM SURE HE WILL DO GREAT !!! It's the first year of either one of my kids to start school so it's new for me too and I think i'm more nervous then they are. My daughter is starting preschool she is probably going to have it hard the first day or two but after that I bet she will just hop out of the car and yell bye mom to get into class after that. My son is starting Kindergarten and he is super excited for school to start! He wanted to go to preschool but they wouldn't accept him because said he didn't need it. Oh I love the back to school shopping and picking out fun things! I do look forward to school....but I do love summer and being able to go and do things! I am a having a little harder time this year. My daughter is getting ready to head off across the country to attend school. I get so used to the leisure of summer and I kind of hate the idea of getting back into a hectic schedule! I feel very excited about it. I'm happy for my daughter because she is all excited about starting middle schools EXCEPT for the uniforms. I will have a 7th grader and she will be starting a new school a 4th grader and her teachers that she had last year moved up so she will have the same teachers, and then I will have a 4yr old going to pre-k that I am so not ready for. you can expect tears from me not her she is ready. I am excited for back to school! It will be nice for the kids to get back to their routine and regular schedule! We are excited to get back to school! The kids love the routine and seeing their friends. My daughter started back on Monday and I am missing her but it is going to be a great year for her. I really don't mind it. It is good for them and me. No kids here, but I am definitely ready for school to start back up because I work overnight as a retail manager and I am so tired of kids (and I mean as young as 12 and 13) coming into my store at all hours of the night thinking it is a playground. Also parents decide to come shopping at 2 AM and think it's a good idea to bring their elementary school age kids and let them ride bikes around the store. That's really sad. I know I had a tight leash on my kids! And they were respectful! I'm a school librarian, and I'm excited to start back, this year will be really different because my co-librarian retired, so I have a new person to work with! Back to school shopping is really stressful! No kids so I'm ready for office supply sales. Not looking forward to it. I like them on Summer break. My kids are excited for school and so am I.
I'm glad I'm not the one who has to go back to school, hehe. It will be very bittersweet for us to see our grandson start kindergarten in a couple days! I'm excited for school to start! My monsters are driving me crazy in the way only my wonderful, beautiful boys could, but let's face it I don't want to go bald!! I am very excited for the kids to be going back to school. I feel anxious. I have a daughter going into high school and a daughter going into to college and that terrifies me for some reason. My son is going into 4th and I feel so lucky because I work at his school so I get to see him. My daughter started back on the 3rd. She started 9th grade this year. We are done with shopping for back to school so I'm good with school starting. I have mixed feelings, but it will be nice when things slow down some. Since I work at a school I'm still enjoying summer. It's too soon to go back! Nervous! Last year didn't go so well due to bullying.. It is tough coming off the summer schedule. It is time to start getting up earlier. I love going back to school shopping with the kids. I love when the kids go back to school- I have peace of mind knowing they are getting a good education. I usually have mixed feelings, right now it's like I'm looking forward to more free time while dreading the extra planning at the same time! I'm excited about my oldest going back to school. Lol, no more saying she's bored to death every 5 minutes at home. I am ready for my grandkids to go back to school because by this time of the summer they are getting bored. I hate it for my Nephew because the summer vacation time from school seems to get shorter every year!He's super smart in school, but he would love a longer summer break! I will be going back to college in just a few weeks and I'm very nervous! I am so excited about Back to School. I cannot say the same for them, the comfort of summer is almost over. We're feeling great about going back to school. We don't have any school aged this year. My niece will be starting her first year of school though!